I recently listened to an interview on NPR’s How I Built This podcast with Sadie Lincoln, founder of Barre3. One part of this episode that really stood out to me was when Sadie mentioned that she is no longer interested in growing her business to be bigger, larger, or have more franchised locations. In fact, she said that she had put an indefinite pause on franchising, which is the majority of the business of her company, since she personally owns just 6 of the 130 total locations (124 are franchised). What I really received from listening to her conversation with podcast host Guy Ros was something that has continued to come up time and time again in my sessions and conversations with clients, friends, and other women in business. It’s the question of growing a business BIG or DEEP. Do we desire to grow a business to a place where we can sell it for hundreds of millions, or even BILLIONS, of dollars? Or is the “success” we’re actually after much deeper, sustainable, impactful, and personal than that? Not that there is anything “wrong” with either option, but if we aren't clear with our intention and big picture vision of where we're going, then we can't create the feeling of "success" in this moment by implementing the necessary soulful strategies to create the reality we desire. On one hand, we have society, business experts, and our cultural imprint and construct of what “success” means telling us that what we SHOULD want is to hustle, build a business that’s worth upwards of 8 figures, sell it, get out, and then go live our lives abundantly and luxuriously once we have burnt ourselves out, sacrificed, and lived on peanut butter and jelly sandwiches. But what I hear in personal conversations with women on my podcast, in the programs I lead, in private coaching sessions, at events, and in my own mastermind of women entrepreneurs is a completely different desire to create a business that feels like an extension of their soul, allows them to feel that they’re making a real impact in their corner of the world by using their own unique gifts and talents, that they’re abundantly (yet fairly) compensated for so that they can afford to live the life that they desire and do simple things like put their kids through montessori school, buy local and organic food to feed their families, and genuinely ENJOY not just what they do, but the lifestyle of freedom they’ve created. Meanwhile, the common narrative around women in entrepreneurship has in some ways become an excuse for women to over-work, and drift farther away from the lifestyles that would actually fulfill them because their work is taking over 99.9% of their energy, focus, and time, even though they’d rather scale it back, simplify, and be able to be more present in their lives. Why don’t we do more of this? Why is it that we feel that it’s SO non-negotiable that work takes up the majority of our focus and energy? What if our focus was directed in a more balanced way that truly honored ALL parts of ourselves? I believe that when a woman has the tools to be fully expressed in all aspects of herself and her power, she becomes unstoppable. I believe that through gathering in sisterhood with other like-missioned women, we instinctively remember what it feels like to be held & supported while taking action to move the needle forward on what matters to us and making a contribution to the world -- we remember the importance of both giving AND receiving. I believe that the idea that we have to choose whether we want to be an exceptional entrepreneur, achieve financial success, be a present partner and parent, or a fulfilled woman is rooted in a scarcity mentality, and that we NEVER have to choose between our greatest aliveness in one area and our deepest success in another. I believe that it's 100% possible to "have it all" when it comes to being a woman entrepreneur today, and that it just takes the proper support, mindset, resources, & strategy to bring your grandest vision to life, as a vessel for your deepest calling to take flight. 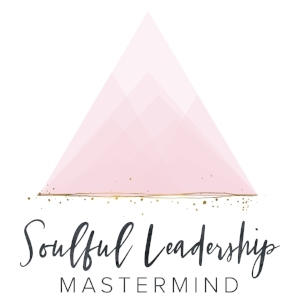 If you're an ambitious woman - a woman who feels called to do beautiful + powerful things with her life, and make an impactful contribution to the world through her work, I'd love to invite you to apply to join me and a high-level sisterhood of 12 women on a 6-month journey in The Soulful Leadership Mastermind. This experience is an immersive journey toward your fierce feminine freedom in life, business, + leadership. It includes private + group coaching, accountability circles, world class guest expert trainings, 3 virtual day retreats, and one all-inclusive week-long luxury retreat in beautiful Tulum, Mexico. We begin June 13th on the new moon, and will close our time together the week of November 23rd on the full moon, right before the holiday season kicks in. This mastermind is already filling up with women from all over the globe, and if you're feeling called to join us, I'd love for you to click here to learn more + apply for an exploration call with me. Applications close May 1st! I'd love to hear your thoughts and desires about growing big vs. deep in the COMMENTS below this post!